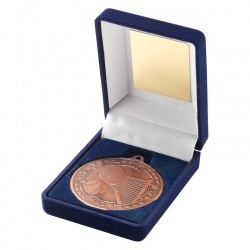 Bronze Finish 50mm dia Tennis Medal in Presentation Box. 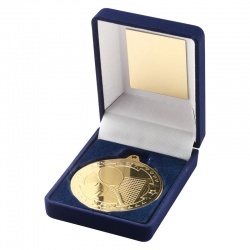 Gold Finish Tennis Medal, 50mm dia, in Blue Presentation Box. 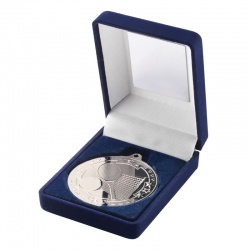 Silver Finish Tennis Medal, 50mm dia, in Blue Presentation Box.